Fahrenheit 451 is a book about burning words and ideas. Instead of putting out fires, the Firemen in Fahrenheit 451 start fires, and burn books. It was a special pleasure to see things eaten, to see things blackened and changed. With the brass nozzle in his fists, with this great python spitting its venomous kerosene upon the world, the blood pounded in his head, and his hands were the hands of some amazing conductor playing all the symphonies of blazing and burning to bring down the tatters and charcoal ruins of history. With his symbolic helmet numbered 451 on his stolid head, and his eyes all orange flame with the thought of what came next, he flicked the igniter and the house jumped up in a gorging fire that burned the evening sky red and yellow and black. He strode in a swarm of fireflies… While the books went up in sparkling whirls and blew away on a wind turned dark with burning. Montag was a Fireman. In the beginning, his face was gripped with a fiery smile. But through interaction with someone who contemplated life, he realized his emptiness. In his search for meaning, he began to steal and hide the very books he was supposed to burn. His wife told him to find distraction in something fun. That is what everyone does. Don’t think, just have fun. But Montag would not this time. He wanted to hold onto his emptiness, he wanted to find meaning. Montag held possibly the last copy of the Bible in his part of the world. And he knew if they found it, they would burn it. They would burn the Bible, one page at a time they would destroy the words and ideas. Montag brought the last physical copy of the Bible to Faber. “Sorry.” Montag gave him the book. ¹ Parlors are TV viewing rooms. ² The ‘family’ are the characters on the television programs. ³ When Montag says “walls” he means the giant interactive TVs that are the walls of the parlor. The world is that way too. Everyone wants to feel good, and feel like they are important, and feel like they are making a difference. So we play video games, watch TV, take drugs, go to church, or whatever we need to get that high feeling. Meanwhile, we trample the truth. We trample the real Jesus, a Jesus not of sugar but of human flesh and blood. But every once in awhile, someone wakes up. And they start to realize something is wrong, but because we live in an age where the truth has been almost completely obliterated, we cannot quite put our finger on it. “You’re a hopeless romantic,” said Faber. “It would be funny if it were not serious. It’s not books you need, it’s some of the things that once were in books. The same things could be in the ‘parlor families’ today. The same infinite detail and awareness could be projected through the radios and televisors, but are not. No, no, it’s not books at all you’re looking for! … Books were only one type of receptacle where we stored a lot of things we were afraid we might forget. There is nothing magical in them, at all. The magic is only in what books say, how they stitched the patches of the universe together into one garment for us. Faber continued by saying that books like the Bible are important because they tell the truth and the whole truth, showing even the pores and dirt. Finally, Faber said that not only is truth important, but just as important is the time to think and ponder. The television and the culture tell us what to think, and they do not give us time to process what they are saying. The truth has time. The truth is real. The truth is not afraid. The truth brings freedom. (John 8:32). That is why I love the liturgy. Its words come from the Bible, and it gives us time to ponder, years even. For a lifetime, the words sink in, and they change us because they are always with us. Christ promised to be with us in his word, not the latest innovative creed, manipulative video, or man-centered motivational speech masquerading as a sermon. The truth comes to us through his clear, pure word. Through word and sacrament alone is how he comes to us. Our fathers fought for this principle in the Reformation. But now those who are trading God’s word of truth for mere emotionalism and pragmatism will receive a bowl of pottage for their inheritance. (Genesis 25:29-34). Fahrenheit 451 is about burning books and ideas. But they do not have to burn books no one reads. Faber admitted as much. The Firemen were just for show. 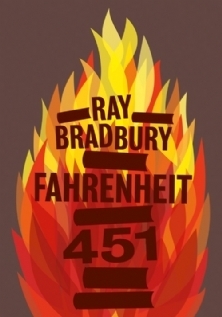 The Firemen in Fahrenheit 451 were made possible because no one knew the truth anymore anyway. Today, we do not burn books, instead we ignore them, or “translate” them into Ingsoc. (Coined by George Orwell, Ingsoc is English corrupted by socialism. An example of this corruption is the attempt to erase biological gender distinctions from the English language so that we start calling men women and women men or start saying that 2+2=5). Ingsoc makes telling the truth impossible, and hearing the truth incomprehensible. The purpose of deconstructing our words is not just to obscure truth, but to destroy the English language, and make it incapable of communicating the truth. Christ is the son of man. (Daniel 7:13-14). Christ alone is the man God cares for. He is the righteous one. Moses and the prophets wrote of Christ; but for him they had nothing to say. (Luke 24:44). But these “translators” have obscured Christ, so in the end, what they leave us with is a question without an answer: Why does God care for human beings? The most important question is not, Who are human beings? Who are they? The question God wants us to ask is, why does God care for the son of man? Who is He? George Orwell said, “But if thought corrupts language, language can also corrupt thought.” (Politics and the English Language). 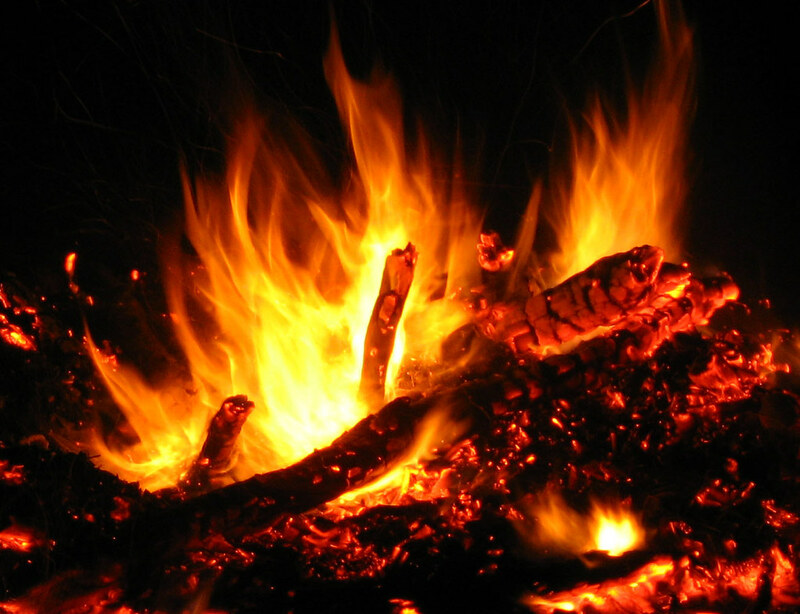 The translators of the NIV (2011 version) did not burn the masculine and feminine gendered books, but they are burning the idea one verse and one version at a time. As Beatty would have had Montag burn the Bible one page at time, so also the ever-changing translations would surrender the English language, and obscure Christ one idea at a time, starting with certain gender-clear passages about Jesus in the Old Testament. Christians must wake up, and stand against the intentional destruction of our language. Do not let them burn words, mistranslate, or obscure Christ in any part of the Bible. 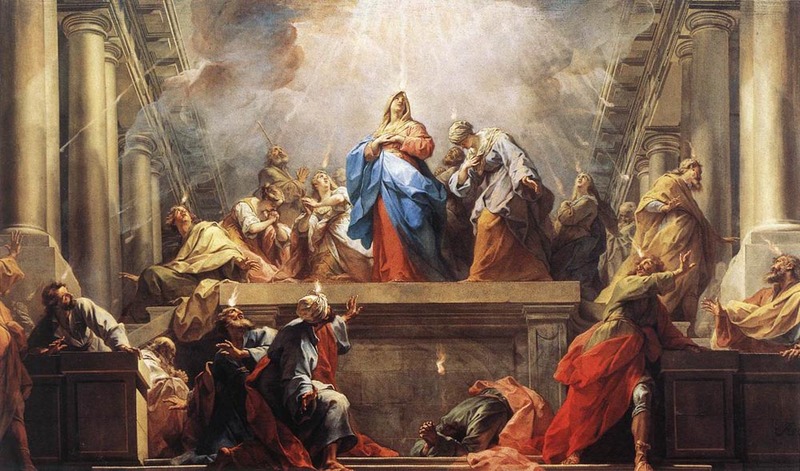 On Pentecost, the Holy Spirit gave to the Church the gift of tongues and the understanding of languages. (Acts 2). The purpose of language is not to control minds and prop up totalitarianism, but rather to communicate the truth. The truth sets us free. (John 8:32). Let us hold fast to Jesus, the Word of God, and the Truth. Ashlee Willis has published an interesting interview with authoress and book designer Anne Elisabeth Stengl regarding book cover design. Anne Elisabeth designed the cover for Ashlee’s novella, A Wish Made of Glass. Stengl said the most important part of cover design is the readability of the text. The text should be designed right along with the image so that the image does not overwhelm the text. Stengl is an accomplished author and book cover designer, however, she does not design her own book covers. “I feel much too close to my own stories to dare design covers for them,” she said. I would struggle to get out of my own head and think in terms of dynamic imagery rather than specific scenes or character looks, etc. These days, I am often very much involved with the talented artists who create my cover images … but ultimately I try to let the creative invention and imagination be theirs. I’m usually much happier with the covers I end up with as a result. 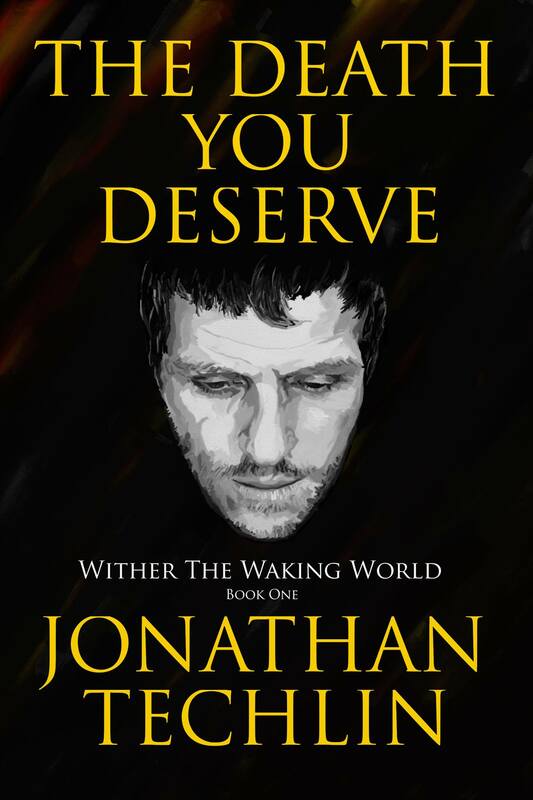 On the other hand, my brother designed and produced the cover for his own book, The Death You Deserve; and it turned out very well. Almost from the first sentence, it is easy to tell which character is depicted on the cover. However, designing one’s own cover might not work so well for authors whose novels have multiple character perspectives and many beautiful scenes. What do you think? Should authors try to avoid designing their own covers? Are there any good science fiction and fantasy book cover designers that you can suggest? In the beginning, God created everything from nothing. He is the original creator. We are sub-creators. We create only from what has been created. One of the reasons I enjoy outdoor photography is because it embodies the very concept of capturing or reflecting the reality of what has already been created. Because we are made in the image and likeness of a Maker, we can all make. (Genesis 1:26). 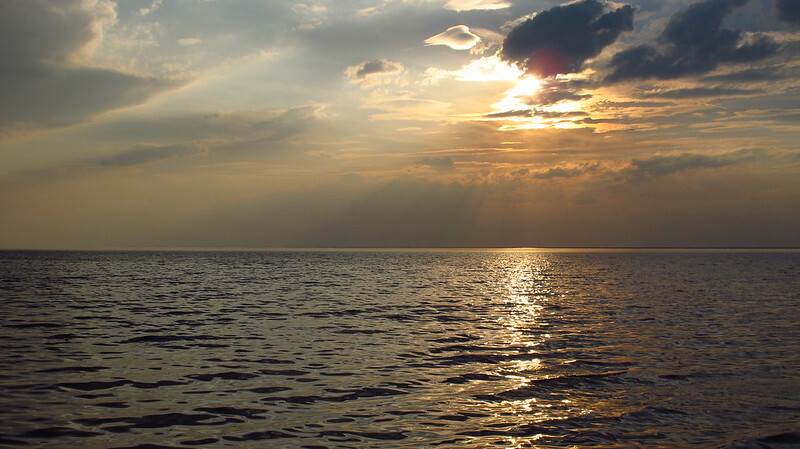 Using our creative imaginations we can step into the picture above, stand on the shores of Lake Winnebago, and ponder the glory of God. We could even write a short story or description of the experience. The Fox Cities Book Festival is currently under way. The purpose of the festival is to connect authors and writers with readers. Schools and libraries all across the Fox Cities in Wisconsin are involved with the festival. Since my brother wrote a book, I’ve developed a more intense interest in reading and writing books, and hope to attend at least one of the festival presentations in part just to see what it is like. In this area, our local libraries can be a powerful resource. Borrowing a book is as easy as browsing the internet, and clicking the “place hold” button. If the book cannot be found in the local area library system, they will often do an inter-library loan. For example, they have gotten theological books for me all the way from Concordia University’s library in Mequon, Wisconsin. All one needs to do is make an online request. The Lord wants us to always learn and grow. Good books can help us do that.